Hepatitis A is a contagious liver disease caused by the hepatitis A virus (HAV). The infection is spread by consuming contaminated food or water. It can also be spread through close person-to-person contact such as household contact with an infected person. There is no specific treatment for hepatitis A infection. The effects of HAV infection differ from person to person. Symptoms may include fever, malaise, fatigue, appetite loss, nausea, abdominal pain or discomfort, diarrhoea, dark urine, and jaundice (yellowing of the skin and eyes). Some people do not experience any symptoms, but they can still pass the infection on to others. The average time between exposure to the virus and the development of hepatitis symptoms is about 30 days. Symptoms commonly last for less than two months, but in approximately 10 percent to 15 percent of people who get the disease the symptoms might return and continue on and off for up to six months. Hepatitis A vaccine can prevent HAV infection. Two doses are needed six to 12 or six to 18 months apart, depending on which vaccine you get, to ensure long-term protection. A combination hepatitis A and hepatitis B vaccine is also available, but requires three or more doses. People who have blood clotting-factor disorders, such as haemophilia. Hepatitis A vaccine is very safe and effective. You cannot get hepatitis A from the vaccine. Side effects that occur are minimal and may include soreness at the injection site or a headache. 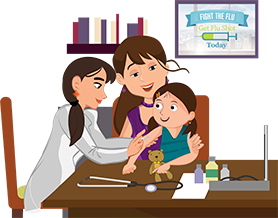 As with any medicine, there are very small risks that serious problems could occur after getting the vaccine. However, the potential risks associated with hepatitis A disease are much greater than the potential risks associated with the hepatitis A vaccine.